Accelerating global challenges are reshaping our world, from the democratization of everything to resource wars, new playing fields of competition, and the search for a moral compass. It has never been a time of more opportunity or more challenge. 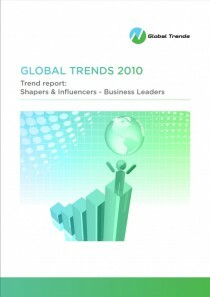 Read The Global Trends Report 2012 to find out how you as a leader and your organization can stay ahead! Organizations and executives overtaken by surprise fundamental shifts in their environments show how big a gap there can be between what we knew and what is new. 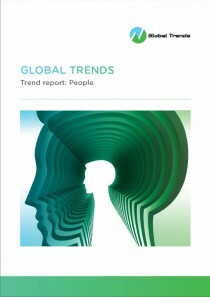 The Global Trends Report 2012 is invaluable guide to the key macro-trends that will shape the world in which we will live and operate in the future. It is about more than information and analysis: The focus is on helping organizations and their leaders — as well as concerned citizens of the world — take the step from insights and implications to making choices and taking actions to meet the opportunities and challenges arising from the trends. The objective: To help you and your organization build the perspectives and ask the right questions to stay ahead of change and shape a desirable future. We start by looking back at key events in 2011, a year of profound change, and ahead to the opportunities and challenges of 2012 and beyond. This section also introduces 5 key imperatives for business and 5 key imperatives for society as we look to the future — because global trends will be reshaping our environment whether we care or not! In the context of providing an overview of the global trends framework, accelerating global challenges are outlined — for business and society, as in an increasingly interconnected world, these challenges are closely linked. 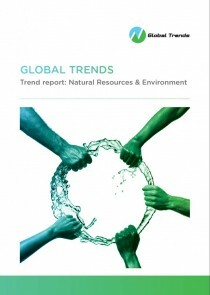 The dynamics within and between between the areas of change are leading to a number of accelerating global challenges. Each challenge is explored through analysis and examples, highlighting the implications for businesses, questions for leaders and suggesting a dashboard of indicators to help you keep track of each challenge. Control & Access — Resource Wars: As the world enters a period of natural resource scarcity, the scramble is on to secure future supplies of critical raw materials, leading to geopolitical as well as commercial competition and even conflict. At the same time digital resources are opening new arenas of potential conflict, e.g. cyberwars, while the battle is on to see who can build the capabilities, e.g. educated workforces, to win the resource wars. Rules of Engagement — The Democratization of Everything: People have a rapidly increasing array of choices, and they are making them, often with friends, communities or networks. The impact of this growing democratization is being felt from politics to purchasing to the way we seek knowledge. 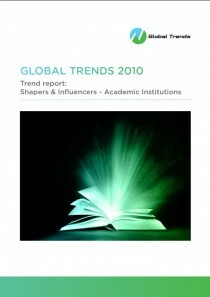 Everything can be influenced, thus relevance and legitimacy are increasingly important success factors. As this power grows, the question is how we balance it with appropriate responsibility and accountability. Fight for Value Creation & Capture — Redefining the Playing Fields: The world is moving away from competition within traditional industries and business models – among firms that look, think and act like each other. In the future, the trend is toward redefining the focus and basis of competition itself – or the playing field – around consumers needs, ones that exist today or those that will constantly emerge in the future. The center of this world will be consumers with power and choice, not the traditional industries that shaped our past. Fight for Values & Beliefs — Searching for a Moral Compass: In a world of communities of choice, of growing individual power, of shifting digital identities, we find ourselves in a world of competing and conflicting laws and regulations, codes of conduct and traditions, where morals and ethics are hard to define, where corporate purpose and legitimacy is questioned. In society, there is a new war taking place to shape the attitudes and behaviors of individuals, even as they search for a moral compass to provide meaning and identity. This section offers clear questions for leaders and organizations to start building the path from Global Trend imperatives to implications, choices and actions. 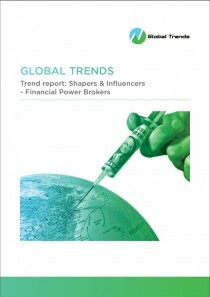 The report concludes with first look at 10 key trends which we anticipate will become increasingly important and evident over the next year, from exploding economic and financial uncertainty to the fight for control of the tech interface to the increasing pace of the democratization of everything. These trendswill be explored in future GT Briefings and reports. The Global Trends Report 2012 is designed both for senior business executives responsible for shaping the future of their organizations — and for any organization and individual who is interested in or concerned about the future of our complex and uncertain world. So whether you are a CEO of a multinational, a non-profit leader, part of an intergovernmental organization, a journalist, analyst, researcher or simply someone who cares about the future, we hope you will find The Global Trends Report 2012 stimulating and useful.